Loved ones, especially partners, of those with BPD, need to know more and understand more about the false self in Borderline Personality Disorder and how it can leave you feeling empathy, sorry for, and/or guilty about your reactions or feelings to the person in your life with BPD. Loved ones, especially partners, of those with BPD, need to know more and understand more about the false self in Borderline Personality Disorder and how it can leave you feeling empathy, sorry for, and/or guilty about your reactions or feelings to the person in your life with BPD. The Borderline False Self can leave your head screaming “get out” and your heart not knowing how to let go of a relationship. 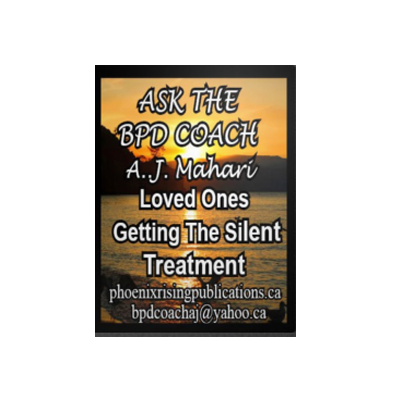 It can be very confusing, very painful and the tendency to try to rescue and the illusion of false hope often reign supreme leading to even more pain and regret for many who are or who the partner of or have been a partner of someone with BPD. Often by the time your head is telling you to go so too are your friends and family. What holds you back? Is it good for you? This 1 hour and 7 minute audio will give you a lot to think about and hopefully clear up some of your confusion. For many people who are not sure if they can stay or need to go, caught between the person they thought they fell in love with – waiting for that person be that person instead of the silent, withdrawing, yelling or aggressive and/or abusive boundary crashing person taken over by the distrust and the “not good enough” of Borderline Personality Disorder, end up feeling guilty and conflicted. 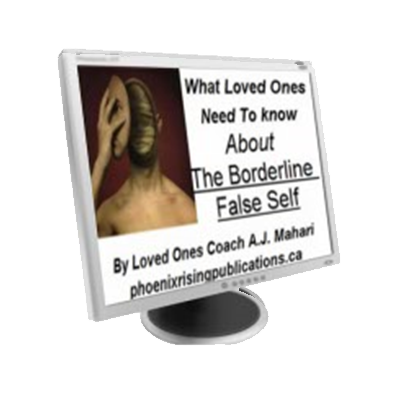 What you need to know more about the false self for is to help you determine the reality of untreated or barely treated Borderline Personality Disorder. Who he or she truly is versus who you thought they were when you fell in love with them. They haven’t turned out to be that person have they? What does that mean? Why do so many continue on in relationships and continue to volunteer to either rescue or sign up for more pain and chaos. Is it love? Or is it the absence of mature love? 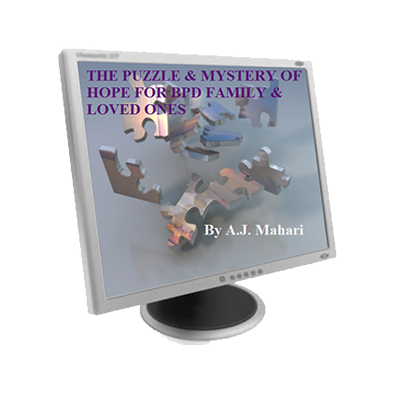 Does your borderline know anything “adult” about love and care and interpersonal relating? Or are they more likely to react like emotionally young children turn on you, abuse you, disrespect you, hurt you, and the important question is to what end? Is there a purpose? Does it go anywhere other than around in painful circles? Somewhere between the Borderline False Self the Punishment and Revenge in Borderline Personality Disorder and your need to Break Free From The BPD Maze and your need to address The Puzzle and Mystery of Hope on The Other Side of BPD and the way you are thinking right now lies the gateway to your freedom and to your own much-needed recovery and healing. I work with Loved Ones in Coaching them through this process and please don’t hesitate to contact me if you believe that after listening to some of what I have to say that speaking with me would be helpful for you. I help so many loved ones break free when relationships have fallen into toxic relating chaotic warfare and when they really just don’t work anymore.